According to Wikipedia’s explanation, Khichdi or khichri is a dish from the South Asia made from rice and lentils (dal), but other variations include bajra and mung dal kichri. In Indian culture, it is considered one of the first solid foods that babies eat. November 1 witnessed twitter trafficked with humorous and farcical buzz ” Khichdi as National food, why? Is nation ill? Later clearing all the rumors Union Minister for Food Processing Industries Harsimrat Kaur Badal reports about khichdi’s elevation to national food are not real and that khichdi will only be put as a record entry at the World Food India event organized by the ministry. Chef Sanjeev Kapoor along with 50 others indeed prepared over 800 kg of Khichdi on World food India event as a brand ambassador of Great India food street setting a world record on 4 November in Delhi. A jumbo wok of 1,000 liters capacity and 7 feet in diameter was used for slow steam-cooking. Keeping in mind that Khichdi represents Unity in diversity as it is made in every state alike this decision for healthy and nutritious eating was apt. The cooked Khichdi after the event was served to around 60,000 orphan children and to the guests presided there. Khichdi is made with equal fondness among country’s rich and poor. 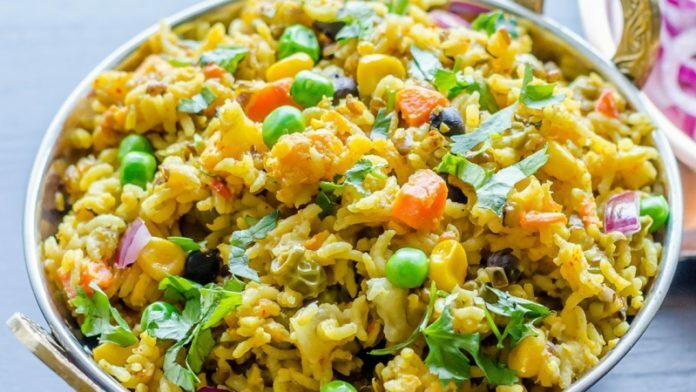 The mission popularizing Khichdi was successfully held with the hope that Khichdi to be known to everyone in the world and mentioned in restaurant menus for its voluntary order at the top. Why Bombay Cambridge School’s BCSE MUN 2017 Is Turning Heads ?